While Google announced earlier this year that page speed would be a factor in ranking mobile results, page speed has affected desktop search results since 2010. If you want your website to rank well, it is important to make sure that your pages load as quickly as possible. There are a number of different factors that affect how quickly your site will load, but this guide will help you learn why Page Speed is so important, and what you can do to improve it. There are a few reasons you should care about your pages loading speed. The first, and most obvious, is that your page’s speed is a factor in how well your website ranks on Google. Having a website that loads quickly is essential to getting your website to land higher up in the search engine results, which is the essential function of SEO work. If you are trying to increase your online visibility, you should be doing everything you can to get your website to rank higher on Google, and page speed is just another piece of the puzzle. The other reason you should care about page speed is that your users do. Studies have shown that the faster your page loads, the higher your websites conversions are. Similarly, the slower your page loads, the higher your site’s bounce rate is. 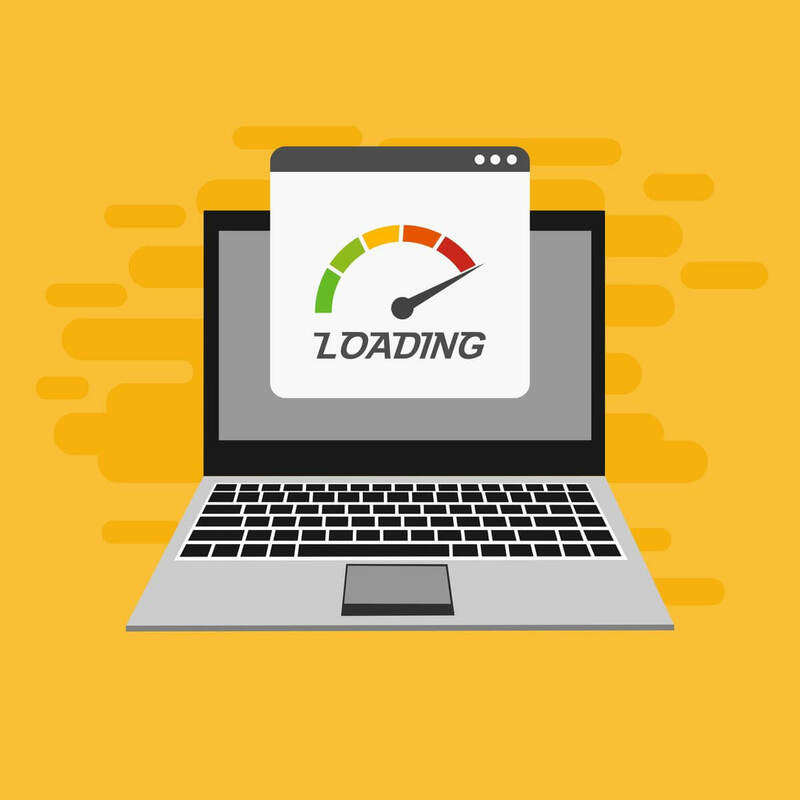 If optimizing your website’s loading speed could potentially increase the number of users on your site, and the rate at which they convert, why wouldn’t you want to optimize your site? How Can I Increase My Page Speed? Optimize Images: One of the easiest ways you can increase your page’s speed is to optimize your images. Images that are too large can significantly impact your site’s speed, and decreasing the image sizes, even marginally, will help increase your page’s speed. Similarly, if you have a duplicate image or ones that you are no longer using, be sure to take them off of your site, as this will help increase its speed as well. Check Your Hosting: If your site appears to optimized to the best of your ability, another thing you can check to improve your page speed is your hosting. Having a poor host could be slowing down your website’s speed considerably. If you had been looking for a reason to leave a hosting company that seemed unreliable, improving your website’s speed is as good a reason as any!